A have a lot of chargers at home because I have a ton of devices. I don’t even remember which is which. 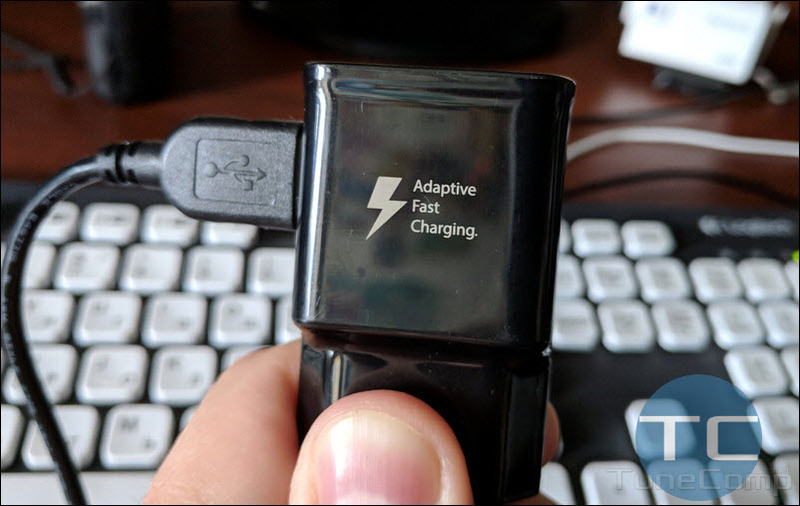 Since I bought Samsung Galaxy S9 I plugged in its charger to the outlet near my PC and started using it for charging all my phones and tablets – from old to new. And everything seemed to be okay until today. Yesterday my Redmi Note 5 started alerting of low battery charge and I connected it to the charger using USB A to micro USB cable. Then, I just put on my headphones and went on listening some video on YouTube. In the morning I disconnected the phone from the charger and found out that the battery is still on 15%. I took off the protective case (I thought, that the cheap case could prevent cable jack from sitting properly) and connected it again back. I saw that the phone started charging but in two or three seconds beeped like it was disconnected. The charging just stopped. I connected Redmi Note 5 to another Samsung charger, that look nearly the same and the phone started charging normally – there were no glitches. Thus, we can point out that we should use the native charger or (if it is absent) the charger with 5V only. Did you face the similar issue? Please, tell us about your experience in the comments.